Last week, Ringgold Senior, Nicholas Hickman made the drive to Atlanta to audition for American Idol. He got the "nod of approval" from his judge and now awaits a callback about his future on the show. Nicholas is a member of the Marching Tiger Band and is involved in the Ringgold Chorus program and Musical Theater, among other clubs and activities. Last spring, he also placed first in the school-wide talent show. Anyone who encounters Nicholas has immediately found a friend in him. "He is one of the most endearing and genuine teens I've ever had the opportunity to teach. 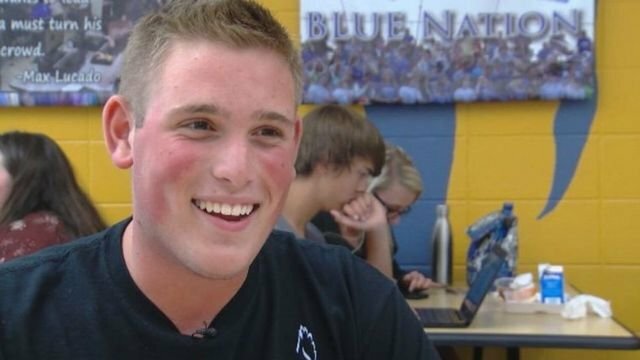 He treats his classmates with respect and sincerely wants everyone around him to feel important and valued," says one RHS teacher. Chattanooga's News Channel 9 made the drive to Atlanta, as well, and interviewed Nicholas in Piedmont Park. The story can be viewed here. A few days later, they came to Ringgold High for a follow-up with Nicholas, which can be viewed here. Regardless of what happens next, the students and staff at RHS are incredibly proud of this talented young man.